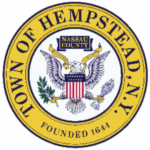 The town of Hempstead, New York discovered an agile approach was key to successfully updating a complicated system, according to Government Technology. Donald Clavin, who was responsible for the town’s recent project to set up e-billing and online payment for school and property taxes, said the iterative and user-focused approach was an improvement on the usual way of setting up new systems. [The complexity of the tax system] makes it tough for a town like Hempstead to just pick up a piece of software designed for other systems and plug it in. So an agile approach made sense to [Claven] — it allowed his employees, the people who know how the process works, to help guide the product toward working for them . . . What it all adds up to is a greater likelihood that a project will be done on time, doing what it needs to do and avoiding unexpected hiccups along the way.